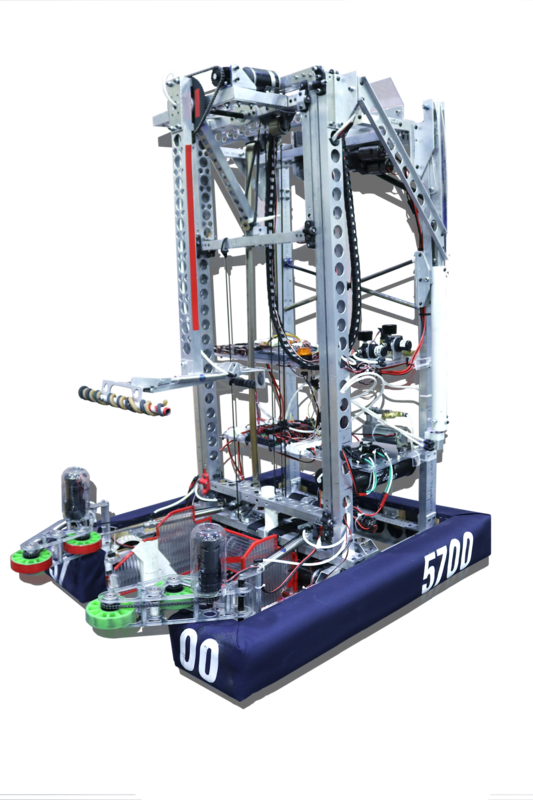 FIRST POWER UP is the FIRST Robotics Competition game for the 2018 season. It involves two alliances of three teams each, with each team controlling a robot and performing specific tasks on a field to score points. The game has a retro 8-bit theme and teams are required to place milk crates, or "power cubes", on large balancing scales to tip the scale and gain ownership. Alliances can also trade power cubes for power ups, giving them a temporary advantage in the game. At the end of the game, robots can climb the tower attached to the centre balancing scale using a rung attached to the tower, giving them additional points. In order to manipulate the Power Cube, this Arm system was designed so the robot can place cubes up to 10 ft. high. It has a full 360 degree range of motion.